Mix the soap and water. Spray leaves and the root area of weeds during the hottest time ol day. Check in 24 hours. The weed should appear burned and nearly dead. If not, double the concentration and spray again. 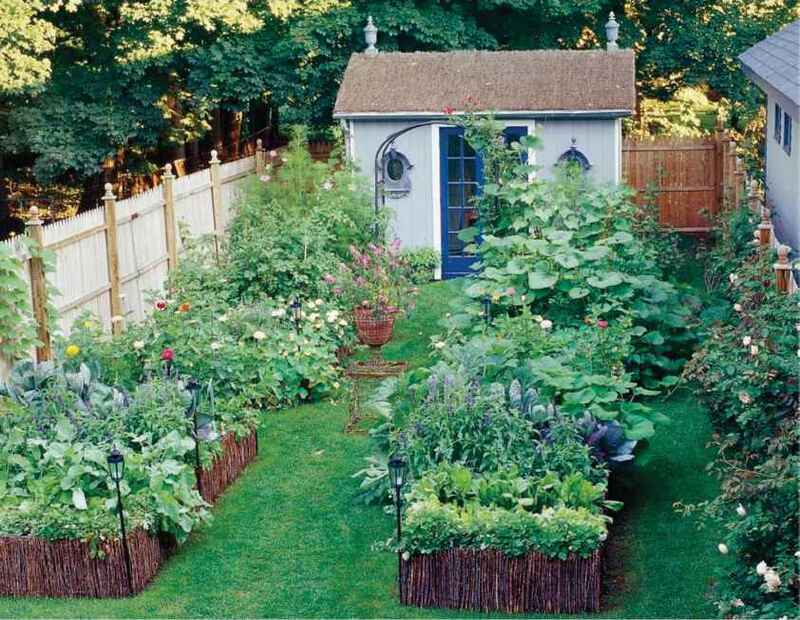 The wise gardener trying to eradicate an aggressive weed follows one commandment, says Seattle gardener Barbara Donnette: "Thou shall not till!" 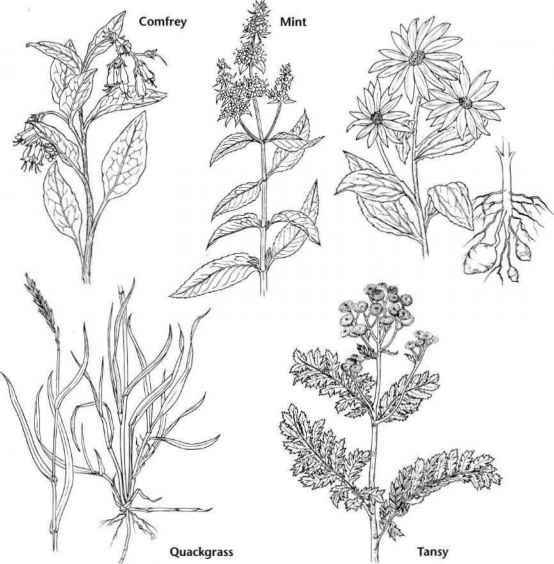 Tilling to remove persistent and perennial weeds or herbs like the ones shown below will produce the opposite effect. It breaks the plant and its roots and rhizomes into tiny stubs that can multiply into monster plants. At the Seattle P-Patch Community Gardens, where Barbara is program manager, a patch of comfrey that was mistakenly tilled proceeded to infest the entire acre. "Twice a year, for 10 years, we did comfrey combat," she says. "But more comfrey always came up the next spring."